PASCAGOULA, Miss., Oct. 20, 2010 -- The U.S. Navy awarded a $62 million cost plus fixed-fee advance procurement contract modification to Northrop Grumman Corporation (NYSE:NOC) that will provide long lead materials for LPD 27, the11th amphibious transport dock ship of the USS San Antonio (LPD 17) class. 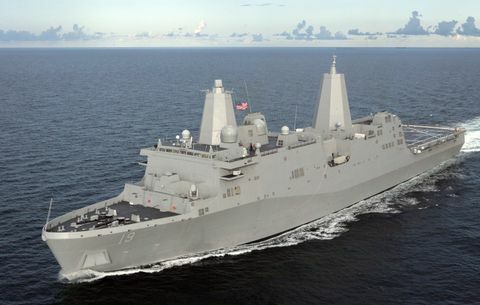 "Northrop Grumman Shipbuilders remain committed to this very important shipbuilding platform for the U.S. Navy," said Tim Farrell, vice president and program manager of the LPD program for Northrop Grumman ShipbuildingâGulf Coast. "This procurement contract enables us to focus on effective and efficient supply chain management and move forward with the advanced purchase materials and equipment that will help us meet our schedule commitments with our Navy customer."